Transport Package: Wooden Case, Cartons. 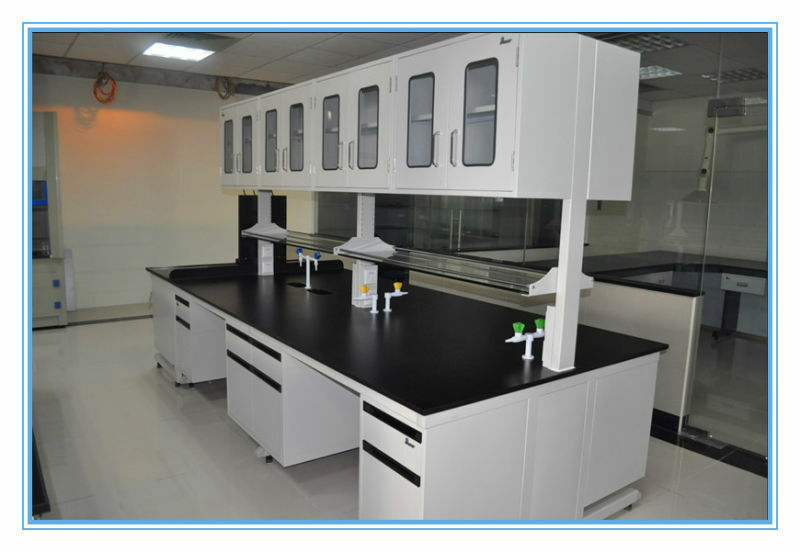 Best Price New Design Dental Medical Lab Furniture. Frame: C frame steel structure, 60*40*2mm rectangular square steel tube spraying epoxy resin power(75Î¼ M), all the steel parts by pickling, phosphating treatment, surface by the epoxy resin power coating, high temperature curing treatment, the acid and alkali corrosion, abrasion, scratch and impact cutting. 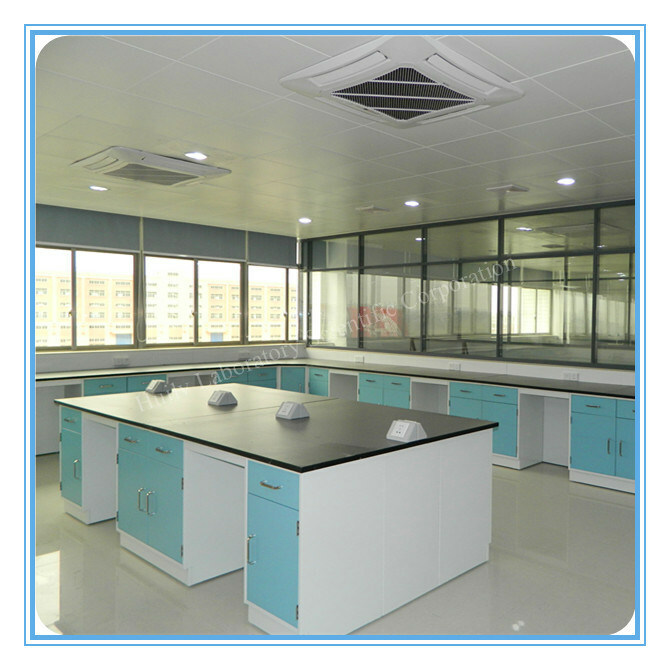 Optional 1: 12.7mm / 15mm / 19mm/ 25mm phenolic resin worktop. Optional 2: 19mm/ 25mm epoxy resin worktop. Optional 4: 30mm granite marble. Chemicals resistant, the acid and alkali resistant high temperature curing treatment, abrasion,Â Scratch and impact cutting resistant, monolithic smooth, non-glare finish with 3mm bevel edging. 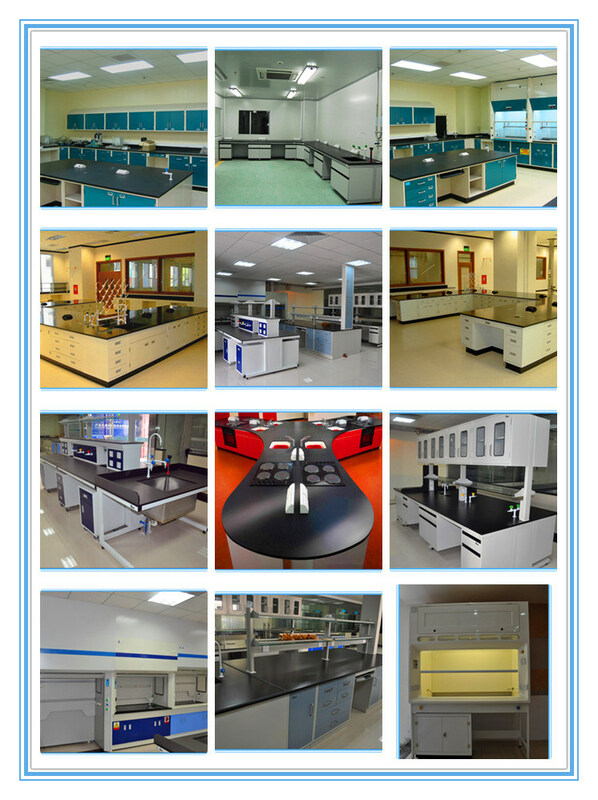 Optional1: Wall cabinets and doors and drawers panel: Used 1.2mm thick of cold-rolled steel sheet production, all the steel parts by pocking, phosphating treatment surface by the epoxy resin power coating, high temperature curing treatment, the acid and alkali corrosion, abrasion, scratch and impact cutting. Optional 2: Wall cabinets and doors and drawers panel: Made of 18mm high pressure semi-solid wood (MDF) covered with 0.4mm high pressure laminate(HPL) on both sides with 3mm PVC edging strips. Optional 1: The size of the cabinet and drawers. Optional 4: With glass door. Sideway: Semi-self closing three section slide rail, no noise. Hinge: 175Â° Degree open Â type high quality hinge. Optional 1: Longer embedded aluminum handle with epoxy coating. Optional 2: Stainless steel handle. Optional 3: Seamless embedded aluminum handle. Please feel freely to contact us for more details and information.